Non-surgical cosmetic technology is delivering more tangible results than ever! Clinical studies have shown that cryolipolysis reduces treated subcutaneous fat by 25% after just one treatment, producing a 73% patient satisfaction rate that is higher than any other non-surgical fat reduction treatment out there on the market. 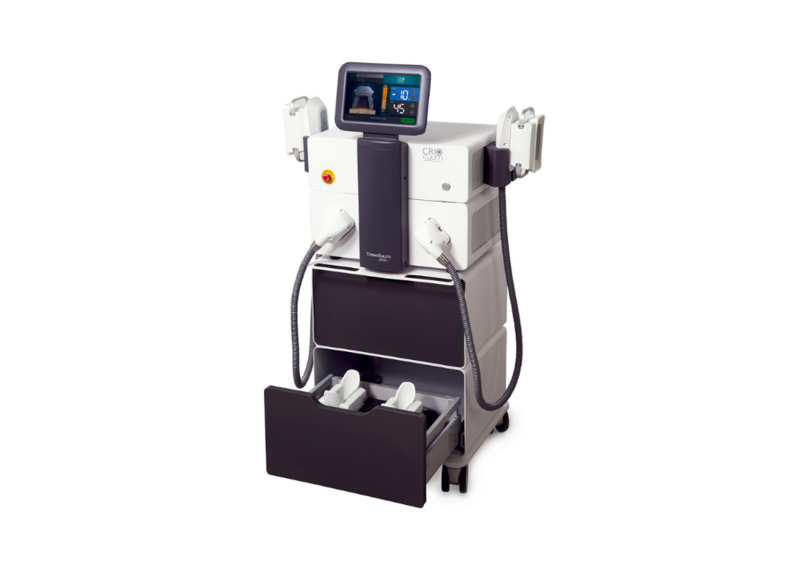 Unlike the other two techniques which use thermal technology to dislodge and remove unwanted fat, cryolipolysis machines engage icy cold temperatures to achieve the same objective. Like other fat cavitation machines, cryolipolysis treatments are non-invasive, and you can get on with your normal daily activities straight after your session. Using vacuum handpieces that gently suction up the unwanted fat, adjustable cold temperatures (reaching as low as -10°C) are applied to the treatment area, isolating and chilling fatty subcutaneous tissue to the point of destruction (cell apoptosis). Surrounding healthy tissue is left unharmed. The unwanted fat is then removed through the body’s natural filtration system. Visible results can be noticed around 15 days following treatment, with the full effect taking place after 8-12 weeks. Just three treatments are recommended per treatment zone to achieve maximum slimming results. Cryolipolysis has been found to be safe and effective for all skin types, producing no major adverse side effects. This is a highly positive benefit to communicate to clients who are seeking help with unwanted fat, but are concerned about associated risks. 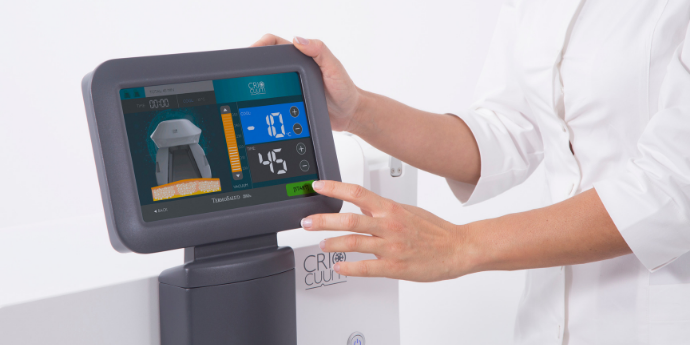 Criocuum engages adjustable cold temperatures applied to the treatment area to isolate and chill fatty subcutaneous tissue to the point of destruction. Case studies show an average reduction of fatty tissue between 3mm and 15mm, or up to 45% of the fatty tissue present for a visibly trimmer, contoured appearance. Criocuum targets the most common problem areas of unwanted, stubborn pockets of fat including treatment of upper arms, back, waistline, hips, abdomen and buttocks. This cutting-edge system integrates into any results driven beauty business and comes complete with everything you need to deliver comprehensive and professional body contouring, slimming and skin tightening services.